Well in our case it was a day in Tre Terre, the railroads leading to the other two villages were unfortunately destroyed by a landslide just a week before we got there. The paths up and down the steep and cliffy coastline connecting the villages together had also been damaged. We arrived in La Spezia with the sole purpose to trek the famous five villages, i'am happy we got to see three at least. Our trip to Cinque Terre was part of a greater Euro trip i took with my then girlfriend back in 2014. Here is a short summery of Cinque Terre. "The Cinque Terre (Italian pronunciation: [ˈtʃiŋkwe ˈtɛrre]; Ligurian: Çinque Tære, meaning "Five Lands") is a rugged portion of coast on the Italian Riviera. 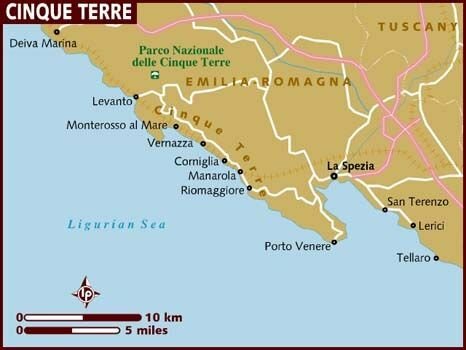 It is in the Liguria region of Italy, to the west of the city of La Spezia, and comprises five villages: Monterosso al Mare, Vernazza, Corniglia, Manarola, and Riomaggiore. The coastline, the five villages, and the surrounding hillsides are all part of the Cinque Terre National Park and is a UNESCO World Heritage Site. Over the centuries, people have carefully built terraces on the rugged, steep landscape right up to the cliffs that overlook the sea. Part of its charm is the lack of visible corporate development. Paths, trains and boats connect the villages, and cars cannot reach them from the outside. The villages of the Cinque Terre were severely affected by torrential rains which caused floods and mudslides on October 25, 2011. Damage to the villages, particularly Vernazza and Monterosso al Mare, was extensive." -We took the old paths between the villages, we started off in Corniglia and finished in Monterosso al Mare. -Two kind gentlemen serenading people as they walk between the villages. -On our way to Vernazza, looking back at Corniglia one last time. -The paths were mostly good and well looked after, with some rough patches here and there. -Quick break and two thumbs up from me and on we went! -Corniglia in the foreground and Riomaggiore in the background. Manarola hidden in a cove inbetween. -Vernazza, as a train passes through. -A narrow street in Monterosso al Mare or Vernazza, can't remember. All in all a great day with some beautiful scenary and unforgettable landscape. The villages were all cozy and rustic but my favourite has to be Manarola, the only village i have no photos of. We went there separatly because we had heard that it was the most beautiful one and offered great cliffs which you could jump into the sea from. They were right on both accounts. Please follow for more posts like this in the future. Wow, i loved your pictures! Seems like you had a wonderful time. Great pictures. Looks like you guys had a nice day!